It isn’t just mess that puts people off baking, it’s the sheer faff and time required. “Bake it Easy” a range of innovative products that all-but eliminate the mess involved in baking. 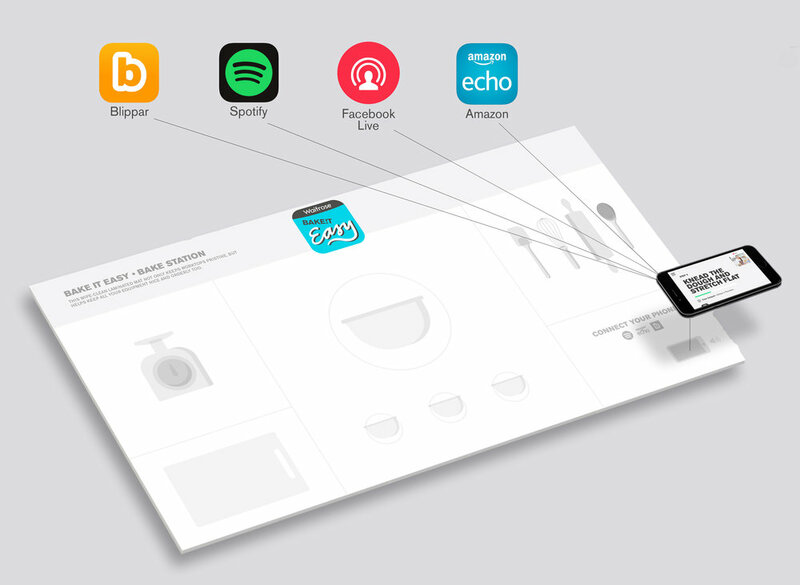 To launch the range, we developed an interactive baking mat, which helps budding bakers keep their worktops clean and organised – and links to their smartphones, via Augmented Reality, for easy-to-follow recipes and tutorials. Finally, to add an extra element of fun, we reimagined the units of time involved in baking. So instead of ‘knead the dough for 4 minutes’, we’d ask people to knead the dough for the duration of your favourite Spotify song.